Blogging While Brown would like to thank our sponsors for their innovation, vision and commitment to the development of diverse and engaging new media content creators. They took the initiative to support one of the first international conferences for bloggers of color. We appreciate their support and encouragement. We will always remember that these companies and organizations were there in the beginning. Free Press is a national, nonpartisan organization working to reform the media. Through education, organizing and advocacy, we promote diverse and independent media ownership, strong public media, and universal access to communications. Free Press believes that media reform is crucial not just for creating better news and entertainment, but to advancing every issue you care about. A vibrant, diverse and independent media is the cornerstone of a healthy democracy. BlogHer's mission is to create opportunities for women who blog to pursue exposure, education, community and economic empowerment. Today BlogHer provides the number-one community for and guide to blogs by women, via annual conferences, a Web network (http://www.blogher.com), and an advertising network of more than 2,000 qualified, contextually targeted blog affiliates (http://blogherads.com). 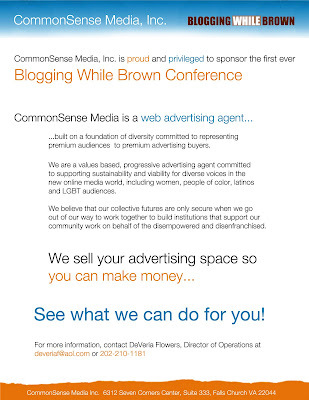 CommonSense Media is a web advertising agent built on a foundation of diversity committed to representing premium audiences to premium advertising buyers. We are a values based, progressive advertising agent committed to supporting sustainability and viability for diverse voices in the new online media world, including women, people of color, latinos and LGBT audiences. We believe that our collective futures are only secure when we go out of our way to work together to build institutions that support out community work on behalf of the disempowered and disenfranchised. The Service Employees International Union is 2 million working people and 50,000 retirees united to improve services and our communities throughout North America. SEIU members are winning better wages, health care, and more secure jobs at home, while uniting their strength with their counterparts around the world to help ensure that workers, not just corporations and CEOs, benefit from today’s global economy. 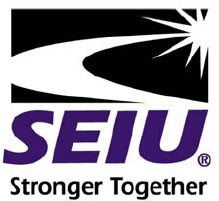 SEIU is the fastest-growing union in North America. The Root is a daily online magazine that provides thought-provoking commentary on today's news from a variety of black perspectives. The site also hosts an interactive genealogical section to trace one's ancestry through AfricanDNA.com, a DNA testing site co-founded by Henry Louis Gates, Jr., who is also The Root's Editor-In-Chief. The Root aims to be an unprecedented departure from traditional American journalism, raising the profile of black voices in mainstream media and engaging anyone interested in black culture around the world.